Sarah Christine is a visionary vocalist and conscious songwriter that delivers uplifting messages of empowerment, positivity and connection. Her original music blends the soothing sounds of acoustic guitar, world infused percussion and high vibrational vocal affirmations to create a musical experience that inspires and penetrates the soul. 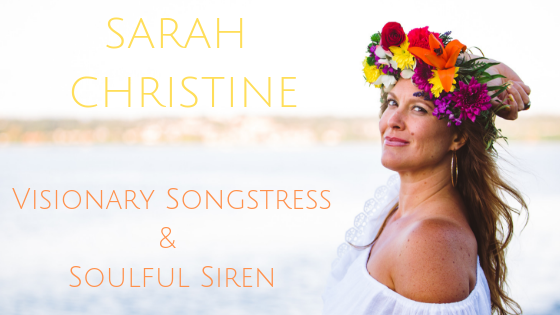 Sarah Christine's warm honey voice is a soulful siren that invites the listener to align with the Divine essence within each of us.